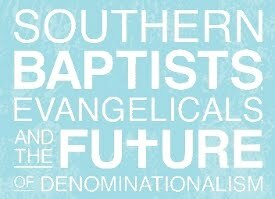 Thursday and Friday, Bonnie and I were privileged to attend the conference at Union University entitled “Southern Baptists, Evangelicals, and the Future of Denominationalism”. Thursday night, Dr. David Dockery spoke on the topic of “So Many Denominations: The Rise and Decline of Denominationalism…and the Shaping of a Global Evangelicalism.” Dr. Dockery did an excellent job discussing the history of denominationalism in Christian history and tactfully explained why there are so many denominational structures. What I took from his speech was that we should all realize that even though denominationalism is rampant in today’s society and is getting a bad wrap, denominations still provide a context for guidance and a place of belonging. We should all strive for a denominational future that has conviction and cooperation; boundaries and bridges; structure and spirit. I will be posting tomorrow some comments regarding Friday’s discussions by Dr. Nathan Finn, professor at the Southeastern Baptist Theological Seminary and Dr. Albert Mohler, President of The Southern Baptist Theological Seminary in Louisville, KY. I want to highlight something that happened last week as the Southern Baptists were meeting in Louisville, KY. In Texas, a new denomination was formed called the Anglican Church in North America. This is good news. The Episcopal Church USA, which has endorsed the ordination of openly homosexual priests and bishops and also has given in to the relativistic views that reject the exclusivity of Christ (see Gene Robinson’s prayer at Obama’s inauguration – praying to the “God of our many understandings”), has fallen under sharp criticism and rebuke from the greater Anglican Communion of the world. The most populous region of the Anglican Communion (or Episcopal Church or Church of England) is Africa. The African Anglican community is extremely conservative, evangelical, and has decried the decaying of gospel ministry in the Episcopal Church, USA. Also, many conservative churches of the Episcopal Church USA over the past few years have considered breaking away to form a new denomination based on the founding principles of the Church of England (the Book of Common Prayer and the Thirty-Nine Articles). These conservative churches petitioned to the Archbishop of Canterbury (Rowan Williams) a few years ago to help stop the slide into apostasy that was happening in the US. The Archbishop did nothing. Last week, the conservative Anglican churches met in Texas and formally split with the Episcopal Church, USA, forming a new denomination. Although I disagree strongly with many of the views of Anglicanism (such as baptism, church polity, church leadership, high church worship style, scripture and tradition, religious liberty and soul competency issues, etc. ), evangelical Christians should welcome this development. The African Anglican community has already endorsed and associated with this new group as opposed to the Episcopal Church. We should welcome this development because it is a group of churches who have upheld the Gospel truth and have taken hold of the faith once for all delivered to the saints and are standing firm against the tide of cultural relativism by saying that Christ truly is the way, the truth, and the life and no one comes to the Father but by Him.